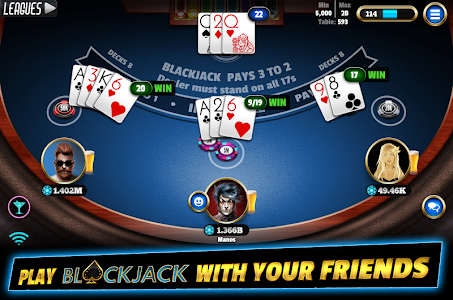 Play free Blackjack 21 ♠️♥️ - the world’s most downloaded free multiplayer Blackjack game in the PlayStore, with real casino players playing live blackjack at stunning tables and awesome graphics from our diverse blackjack casino cities. Place your chips on the tables, beat the dealer’s hand and win big. Millions of real users to play against in this multiplayer blackjack game now made even more exciting with the new Side Bets exclusive feature! It’s one of the world’s most famous card games. Take a seat and play in the world’s most glamorous casinos, from Monte Carlo to Vegas, on an incredible and rewarding Blackjack journey. Do you want to win more with Side Bets feature? Challenge the dealer by placing a Side Bet and wait for those pairs to gain more chips. Then crank up the excitement further and be the best ‘Tournament Master’ champion! Can your Blackjack strategy defeat all opponents? The cards are already waiting for you, so come and see if you can draw the one you need when it really counts! Find out now in this free Blackjack game! Every player gets free daily bonuses, sales offers and discounts with the opportunity to join our exclusive ? ‘VIP Privilege Club’ ?, complete with seven unique levels from Bronze to Black that ensure you special boosts, and huge Chip and Diamond deals. The higher up you go, the more privileged you become! ✓ FRESH FACELIFT – Revamped tables and stunning graphics, now with three seats for more room to play. It’s still your favorite game, just better! ✓ NEW TOURNAMENTS ?– Three round winner takes all. A totally unique and fantastic new Blackjack 21 tournaments in hot casino cities! 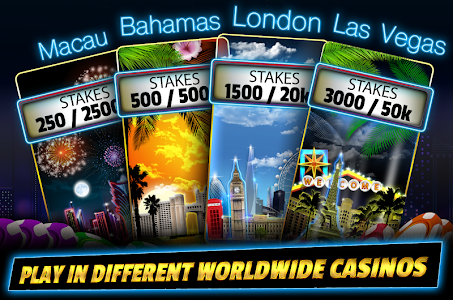 ✓ CASINO JOURNEY – Play in any of the seven casinos, from Athens to Monte Carlo, with high-roller stakes and bigger winnings the further you go! ✓ AVATARS – Cool heroes – which one will you be today? 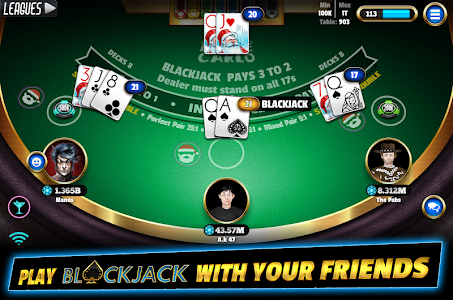 Live Blackjack 21 is a free online game of chance and skill for entertainment purposes only. It is not possible to win real money, real items/services/gifts or goods in kind by playing our skill games. The virtual currencies used in this game are called Chips and Diamonds, and they can be purchased in the ‘Store’ with real money. Chips and Diamonds cannot be exchanged for cash or be paid out in any form and can only be used to play our game. Live Blackjack 21 is intended solely for an adult audience - gamers aged eighteen years or over. Our most competitive version is live! The point system is based on your weekly performance. The more you play and win the more points you obtain! 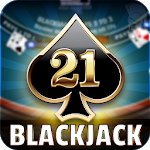 Similar to "BlackJack 21 - Online Blackjack multiplayer casino"